Updated December 8, 2017: The Esri Vector Basemaps were recently updated to a new version (v2). The best way to access them in ArcGIS Online is through the Esri owned Vector Basemaps group, which contains the latest set of web maps and tile layers. See What’s New in Esri Vector Basemaps (December 2017) for information related to this update. Last week Esri Vector Basemaps exited their beta period and are now available for production use. We blogged about that release and shared where to easily find them in the Vector Basemap group on ArcGIS Online. Now in this blog, we’re sharing an overview on one of the main benefits of our vector basemaps — the ability for users to customize the map styles. This framework walks through the creative steps of this Merry Christmas basemap. 1. Inspiration! Come up with an overall idea. In this case, it was pretty simple. When the calendar page turned to December, there was limited opportunity to get back on Santa’s ‘Nice List’, ergo the Merry Christmas theme. 2. Begin by selecting from one of the core nine Esri Vector Basemaps. In this case, the World Topographic vector tile layer was chosen. If your map can succeed with less content, try starting with the Dark Gray or Light Gray Canvas alternatives. The first steps in customizing a vector basemap is to add the tile layer to your map and make a copy of it into your ArcGIS Online account. 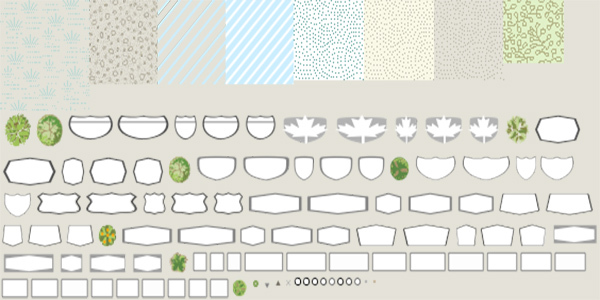 We previously blogged on this tile layer copy process. 3. Research! Search for information about the theme and existing graphic design trends. 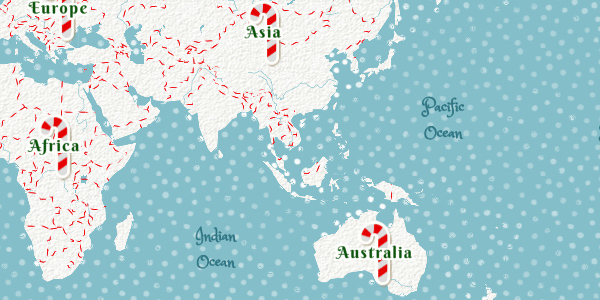 Even check how the theme might have already been mapped (i.e., stay off the ‘Naughty List’). 4. Think of the map components and how the inspiration can transform a feature or style on the map. 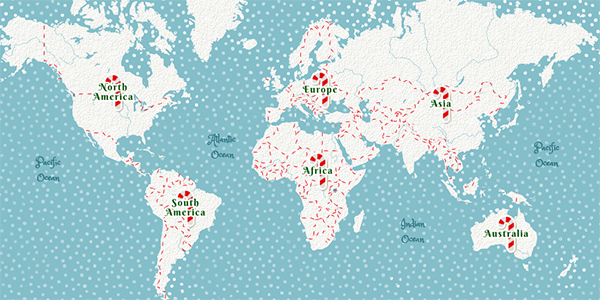 In this example, city dots were changed to ornaments, there are continental candy canes, and candy cane ribbon for the international boundaries. These are but a few of the many other unique holiday twists within the map. 5. Find a color palette. Stick to it. Use it to easily and quickly pick and apply colors to your map features. 6. Make the design changes to the map features that will make the biggest impact first. The simplest two to start with are land and water. This can help set your color selection and continued application of your theme across the rest of the map. 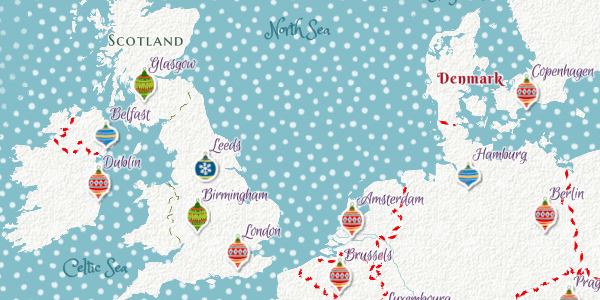 On the Merry Christmas map, a pattern (of snow) was also applied to the map. 7. Decide on the fonts. A suggestion is to start with the small scale features (e.g., continents, countries, and ocean water bodies). 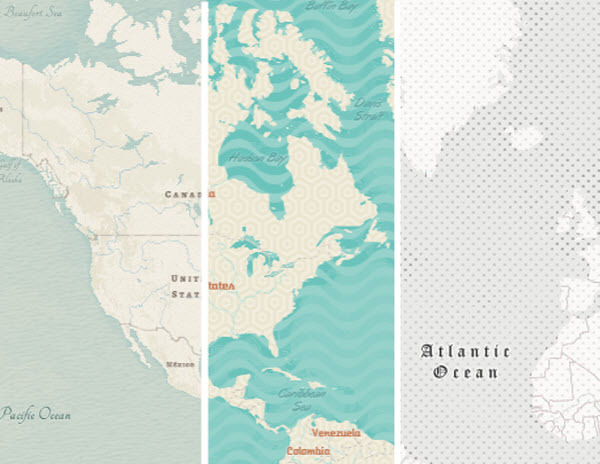 Your color palette also extends to fonts as well as map features. 8. Continue with selecting fonts for other labels that appear as you zoom in to larger map scales. You can reinforce the theme of your map through the selection of fonts and the colors applied to them. 9. Stylize the features at larger scales. As a multi-scale map, there are additional features that display as you zoom in. Use your color palette to select the fills for parks and other land use features on the map as well as for line colors of roads and boundaries. 10. Sprites! No these are not the same as elves, but sprites work just as hard in your map as the elves do in Santa’s workshop. Sprites are the patterns and symbols that appear in the map. In this map, the sprites have been totally reworked from their Topographic map starting point. Those seemingly random placement of trees across the map at larger scales? They’re actually spot elevation points without their elevation labels. 11. Make adjustments as you apply all the feature spec changes. Sometimes the concept of your map theme and design doesn’t always stay cohesive as you apply it. Do a lot of testing of your map at the different stages throughout production and across the different map scales. The good thing about the Esri Vector Basemaps is you can continue to customize the style even after the map is published online by editing and updating the root.json file. From Esri’s side of things, the data and tile set will be updated on a regularly recurring basis as well. 12. Enjoy the fruits of your labor. Kick back and grab an eggnog. 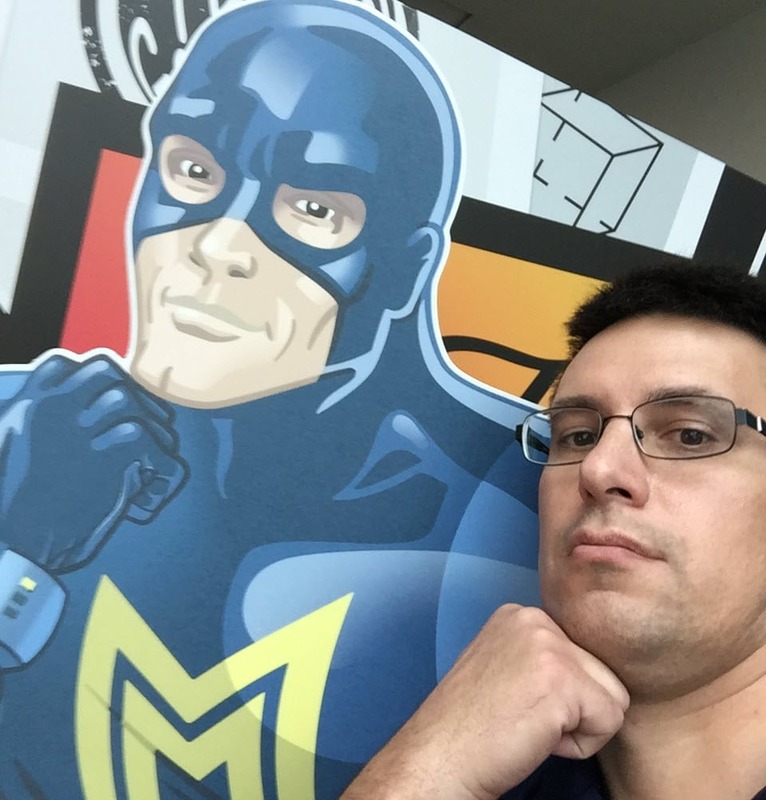 Share the map with the ArcGIS.com community so everyone can use it in other maps and apps. 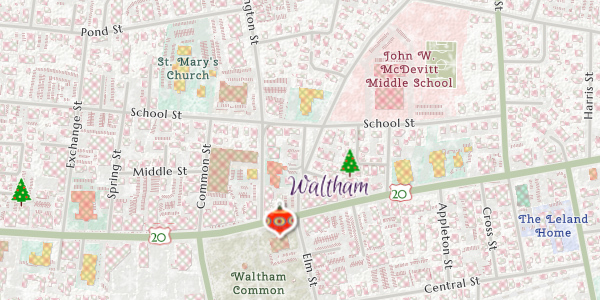 This Merry Christmas map is available on our web site for all to use. Santa can use it as his basemap when applying geoanalytics on his Naughty and Nice list. Use it to navigate over the river and through the woods to grandmother’s house. The visions of sugar plums are replaced with all the possibilities of using this and the other stylized vector basemaps available now. All maps styles displayed above created by Esri cartographer Cindy Prostak.